Residents of Washington state are no strangers to rain; after all, Washington experiences copious amounts of it throughout the year. 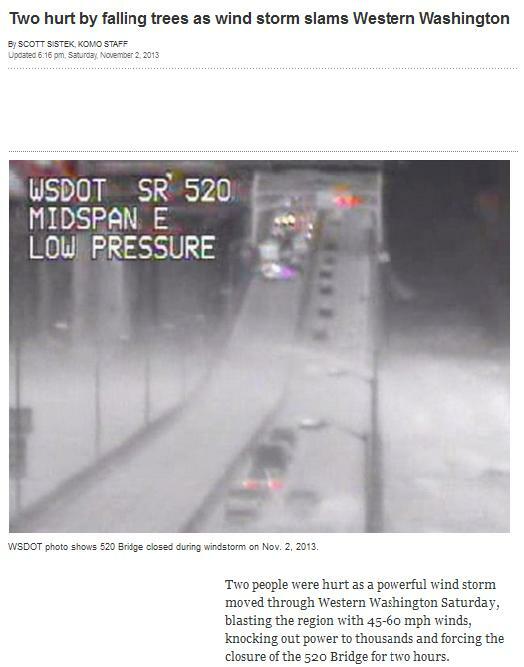 However, in the first week of November, residents of Western Washington, including Tacoma and Federal Way, were likely caught by surprise when a windstorm hit the area, causing damage to property and physical injury to people, as Scott Sistek reports for the Seattle Post Intelligence. Reports of trees and power lines down were numerous across the Puget Sound area, and over 200,000 people lost power as the storm raged. Puget Sound Energy reported 105,000 customers without power across 1,000 separate outages while Seattle City Light reported 44,000 in the dark at its peak. Snohomish PUD had 40,000 out but that number had dropped to 10,000 by mid afternoon. Mason PUD said 5,900 lost power. Out of all the exterior components in a home, perhaps the most vulnerable is the roof. While all roofs are generally constructed by a roofing contractor in Federal Way to withstand wind loads, certain cases make some roofs more vulnerable in the presence of strong winds; for instance, improperly installed roofs are likely to be torn and blown off during a windstorm, as are aged and deteriorated roofs. Powerful winds can also loosen fasteners in the shingles, making them more likely to be knocked out of place by the time another windstorm hits. When roofs have been severely damaged by a windstorm, it usually means replacement is in order. Roof replacement is a great opportunity for homeowners to turn to reputable Federal Way roofing companies in the area and ask for a roof that is better at resisting wind and other harsh elements. To wind-proof a roof, it is often necessary for a complete tear-off to be done so there is a smooth foundation— from the underlayment down to the decking— for the new roof covering. Factoring in climate change and all, Washington is likely to bring unwelcome weather scenarios to its residents, and while there’s no way to escape whatever the weather brings, people can be better prepared for them. To have windstorm-ready roofs, they can enlist the services of trusted roofers like the ones from Tedrick’s Roofing, which also serves Auburn and Seattle.